Hire our Segways for events, promotion and corporate events. 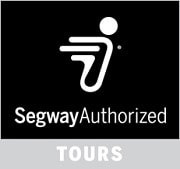 You will see, how much more attention your promotion gets and how much fun your customers and employees are going to have with the Segway. Because of the remarkable mobility of the Segway, you have an infinite number of application possibilities. Please turn to us for advice. You can call us or send an email. We would be pleased to create an individual offer for you that will meet your needs and objectives.